The legend of the Lost Blue Bucket Mine has intrigued people for a hundred and seventy years. Is it still out there, waiting to be discovered, or was it real in the first place? versions of the story, and no one has proof of what actually happened. But we know it involved at least one kid, a blue bucket, and some strange pebbles. 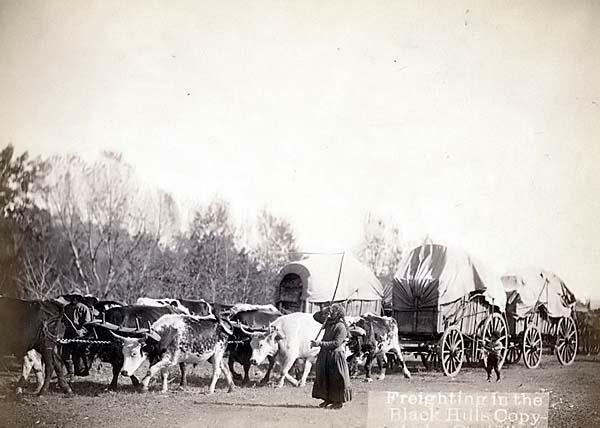 A large wagon train had reached eastern Oregon. When they camped for a few days at a hot spring, the travelers were apprehensive about the coming ordeal of rafting down the Columbia River. trail heading for the Columbia. As the story goes, the travelers realized after a while—some say a week, others a month or two—that Meek had no idea where he was going. He left them on their own in the wilderness. They had to get through the Cascade Mountains before winter or they might starve to death. Most versions of the story say children went to the river to get water and returned with a blue bucket full of strange-looking pebbles. To be fair, one version says three young men went in search of some straying cattle and wandered for hours before returning with the famous rocks. Anyway, the wise grownups of the party puzzled over the kids’ find. The blacksmith put one pebble on a metal wagon rim and pounded it. It flattened easily. They decided it was copper. Why copper? No one’s really sure. The standard excuse is that it was 1845, several years before the California Gold Rush, and most people had never seen raw gold. Supposedly most of the rocks were dumped, but one woman, Mrs. Fisher, kept one. A few years later, with the advent of the gold craze in California, she had it assayed. It was a gold nugget. The people who had been on that wagon train started remembering, and prospectors from all over began trying to find the spot. Many people spent years looking for it. Some people found gold in various places in Oregon, but no one was ever sure where the so-called Blue Bucket Mine was. Mrs. Chambers near the mouth of Crane Creek. Well, you can imagine how many people were out there looking for that grave. Supposedly the grave has been found more than once. And another tale says two Frenchmen moved it to keep people from finding the mine. The woman who reportedly saved one nugget from the children’s bucket plays large in some of the stories. Mrs. Fisher’s story was written down by her grandson, but even this version is riddled with errors. For instance, he said the man who led the pioneers astray was Joe Meek, not his brother Stephen. The wagon train split at a hot spring about a mile below the present town of Vale, near the Malheur River. 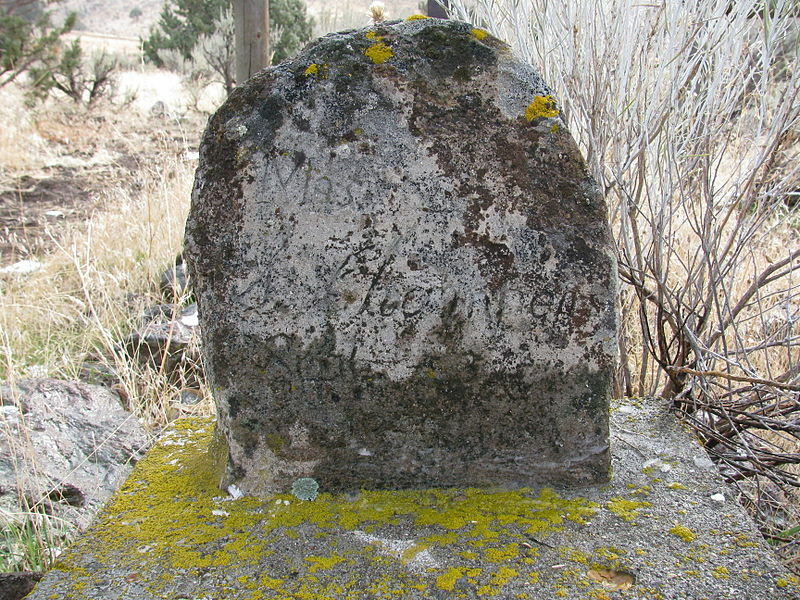 Dr. Fisher, who was traveling with the Meek contingent, died and was buried August 12, 1845. 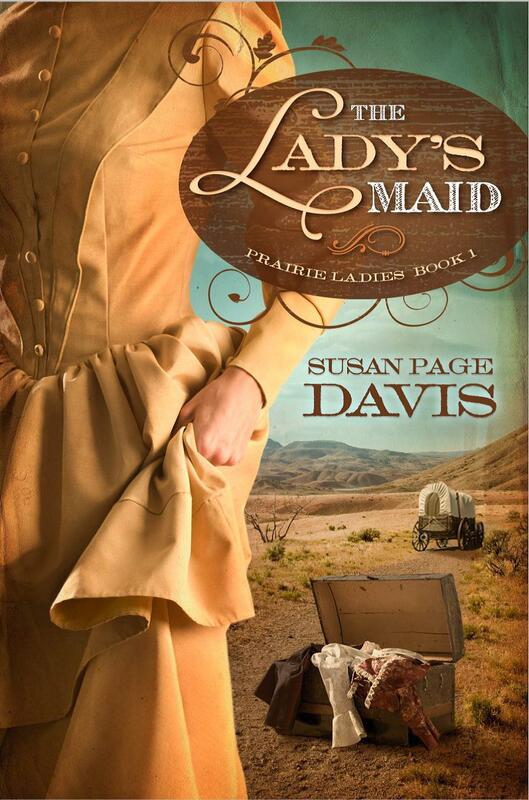 The man writing Mrs. Fisher’s story knew several survivors of the wagon train. They named other landmarks they had passed. So … The wagon train wandered on. Its exact route is a mystery, though many have tried to trace it. Eventually, they rejoined one of the trains they split off earlier. Some settled near Eugene, and some went on to California. Twenty-five years later, several veterans of that wagon train got together and discussed it. They made a map of the points they knew they had passed and where they thought it most likely the gold had been found. Mrs. Fisher insisted that Mrs. 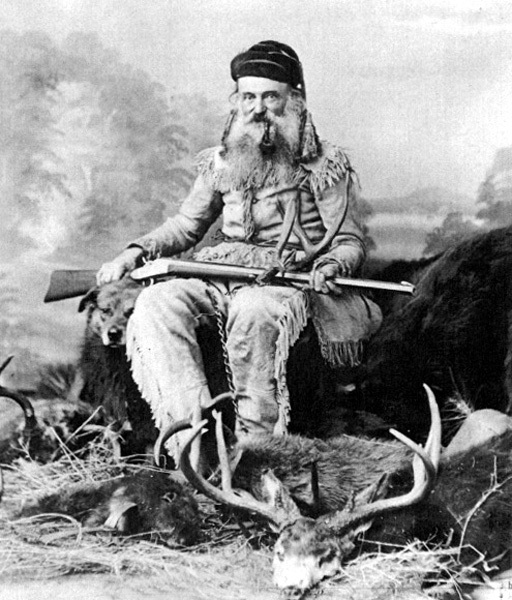 Chambers died three days before the gold was found. Samuel Parker, who was also on the train at the time, said she died three days after. So, within about 100 miles—probably more like 50—in either direction, if anyone knew for certain where that grave was. The site now believed to be the famous grave of Mrs. Chambers is about six miles east of where Crane Creek flows into the Malheur. If Mrs. Fisher was correct and the gold was found before Mrs. Chambers died, that would put the wagon train in the Willow Creek area. Gold has since been found in that area. My best guess as to the whereabouts of the Blue Bucket Mine? I think it’s been found, in one of the areas where gold strikes were later made, but the people who found it were never sure that was the exact place. In 1960 a group of people claimed to have found it and filed claims as the Blue Bucket Group. At least three other gold mines over the years have been named “Blue Bucket Mine,” but none of them had anything to do with the legendary east Oregon find. One amusing point made by a woman who was part of the Blue Bucket Group: In 1845, about 3,000 traveled west over various routes in wagon trains. By 1850, she said, at least a third of them claimed to have been in the party that discovered the Blue Bucket Mine. Trail, or another book in this series, leave a comment and your contact information. The drawing will be held Nov. 29. Great story, great history, Susan, thank you. Thanks, Linore! Local legends are always interesting to me. Thank you, Susan, for sharing this great story. I always enjoy reading the stories you share with us. Happy Thanksgiving! Thanks, Melanie! I hope you have a great Thanksgiving. Hi, Betti! You're welcome--and I hope you have a wonderful Thanksgiving. Interesting story and funny how memories change over time. Everyone had a different version. I suppose there's a nugget of truth (pardon the pun) in each one. That's so true, Kathleen! I find the same is true when I get together with my extended families. Everyone's memories must be respected, but they can't all be right. That's an interesting story. I've never heard it before. Just think of all the people who wasted months and even years searching for that mine--kind of like playing the lottery today. I know! And it wasn't even a mine, really. Just a place in a stream where there was some gold. But that's the way it's been known ever since. Do I feel a novel coming on? Be interesting if it was real you never know. Sounds like you're a believer, Kim! 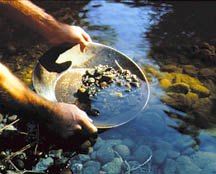 My dh and I actually went gold panning in the Cascades once, many years ago. Lots of fun, but no lost mine. I love this blog, the history behind the good ol days! Loved the story of the Blue Bucket Mine! Thank you, Melody! I always like a good mystery. Thank you for sharing this fascinating story. I had never heard of the Blue Bucket. You're welcome, Connie! Hope your Thanksgiving is happy too. I love the legends, myths, and tall tales from the pioneer days. They are always fascinating. Thanks for this one. I've never heard of it. Copper or gold? Interesting how they couldn't find it later..I hadn't heard of this either..
Maybe it's still out there! Thanks for stopping by, Deanna. And the winner of The Lady's Maid is ... Betti Mace! Congratulations, Betti! I hope you all had a wonderful Thanksgiving.